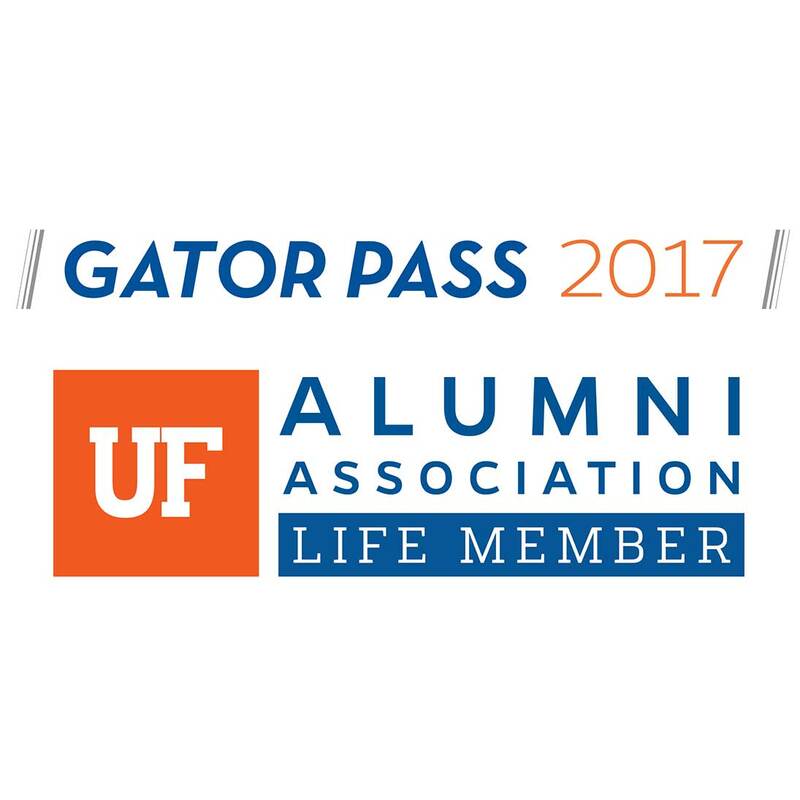 This is where you belong: the University of Florida Alumni Association. 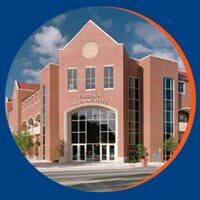 Strengthen your connection to The Gator Nation® and support activities for current students and alumni by becoming a member. Life Membership includes all the benefits of annual membership, but also offers additional perks exclusive to Life Members! 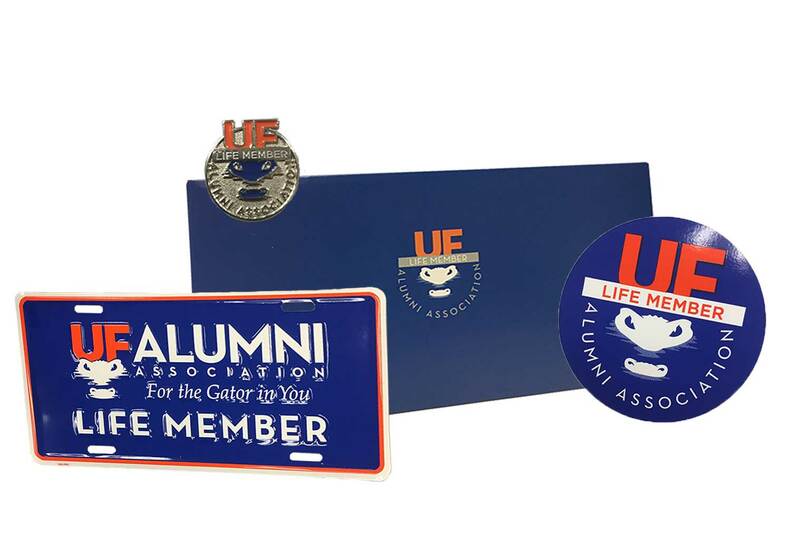 As a thank you for your gift to the University of Florida, you will receive a life member packet with your membership card, lapel pin, license plate, and car decal so that you can show your Gator Pride wherever you go! Life members also receive an exclusive "Rooted in Gator Tradition" shirt. Life members are eligible to receive the shirt as soon as their membership has been processed. Never wait in a line for an event again! 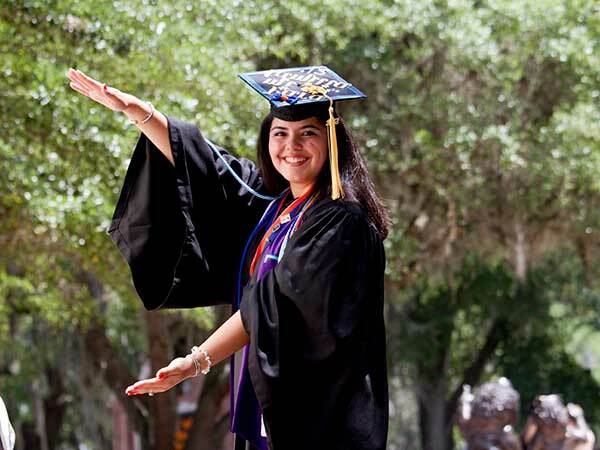 Life Members get to skip lines at BEAT T-Shirt Giveaways, TK Login Days, and even at Graduation Regalia Pickup.